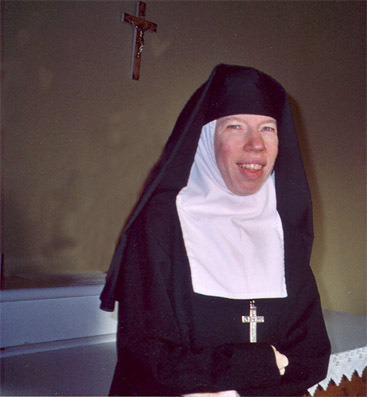 Sister Michele Marie Hauser, V.H.M. 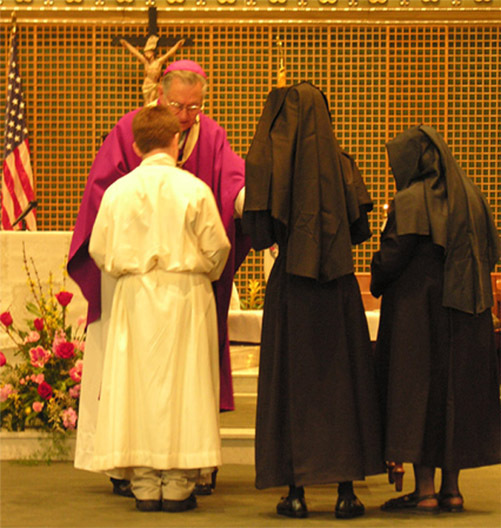 On Sunday, March 12, 2006, Sr. Michele Marie Hauser, V.H.M., was received to solemn perpetual vows as a member of the Sisters of the Visitation. Sister Michele Marie born in Kansas City, Missouri, is the daughter of Mr. and Mrs. Leo Hauser of Carol Stream, Illinois. She was educated at the school for the blind in St. Louis, Missouri, and O'Hare High School in Kansas City, Missouri. She earned a bachelor of arts in business administration and a doctorate of jurisprudence at the University of Missouri at Columbia. She is a member of the Texas Bar Association, and prior to entering the monastery, she worked for sixteen years as an attorney for the State of Texas. She was also active in her parish ministries program, RCIA, Respect Life Program, and served as a coordinator and teacher for adult education. In 1995 she was received as a consecrated virgin by Most Reverend John McCarthy, Bishop of Austin. 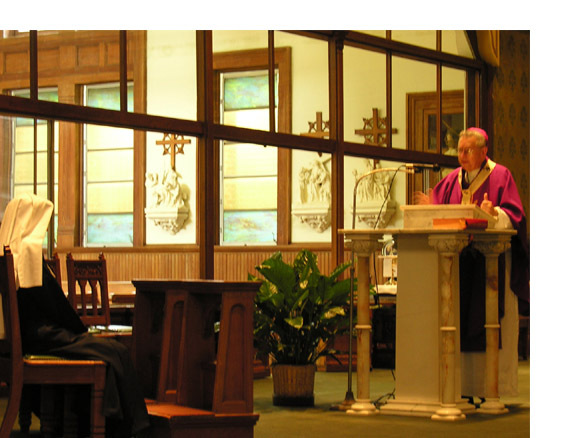 Most Reverend Oscar H. Lipscomb, D.D., Ph.D., presided at the Mass and profession ceremony, which took place at 3:00 P.M., in the chapel at the Visitation Monastery. Her parents and twin brother, Edward, and his family were in attendance. 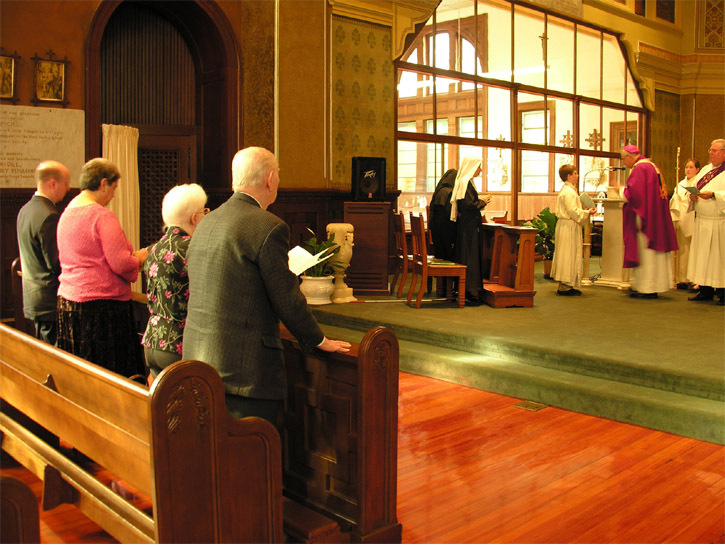 The Cecilian Chorale provided the music, and a brief reception followed in the parlor of the monastery. 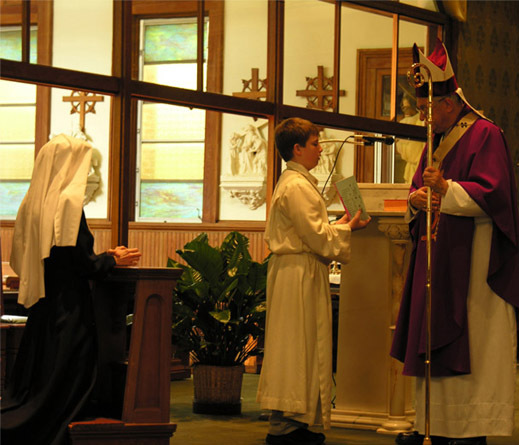 Sister Michele Marie Hauser responds to the call to profession. Sister Michele Marie Hauser's parents, her twin brother and his wife traveled from Chicago for the Mass of Profession. 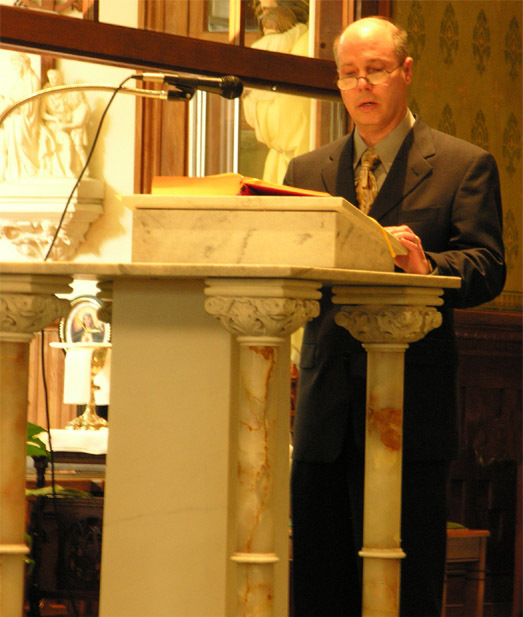 Sister's brother, Eward Hauser, proclaims one of the scripture readings during the Mass. community, and the entire Church represented by those assisting at the Mass. candle and crucifix from Archbishop Lipscomb. Photography by P. Kimbrough Jones.